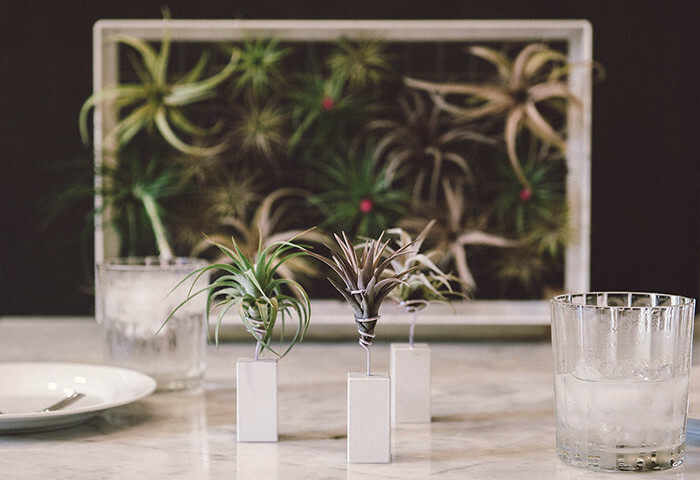 Airplantman sounds like a super hero, and maybe he is. 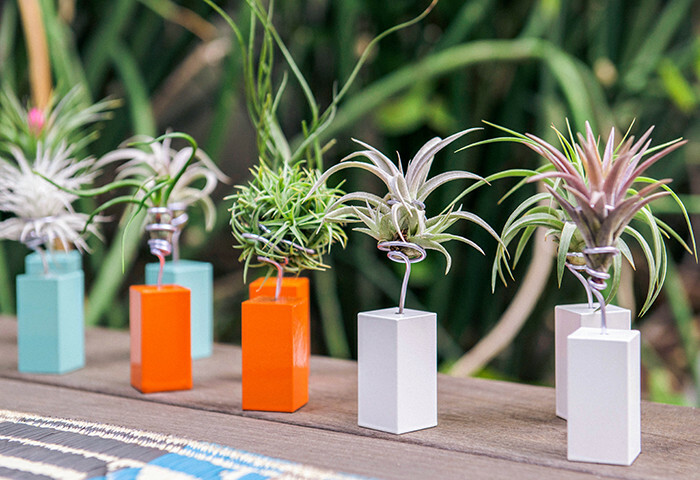 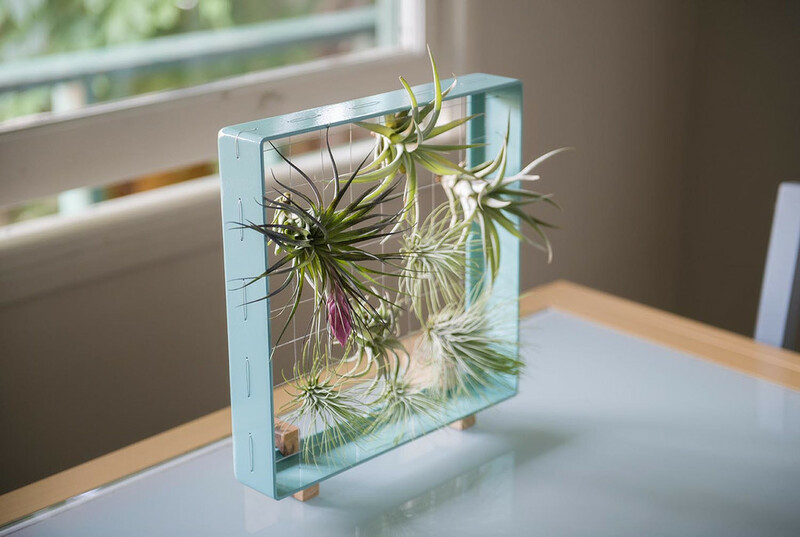 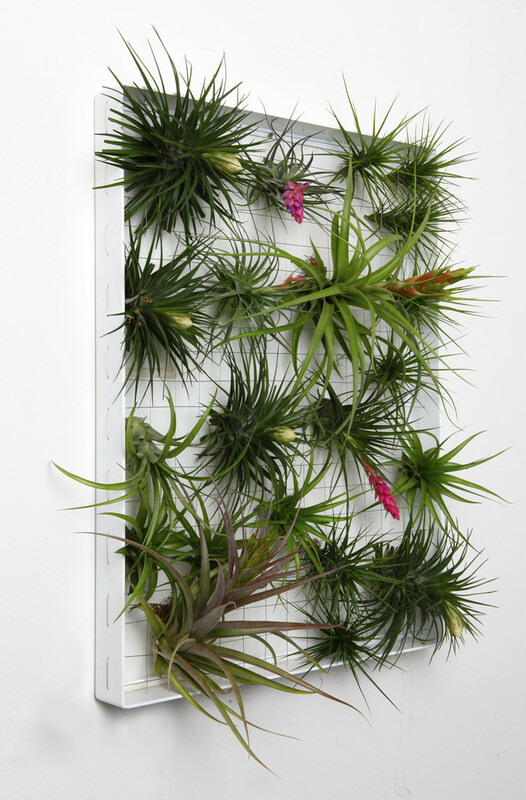 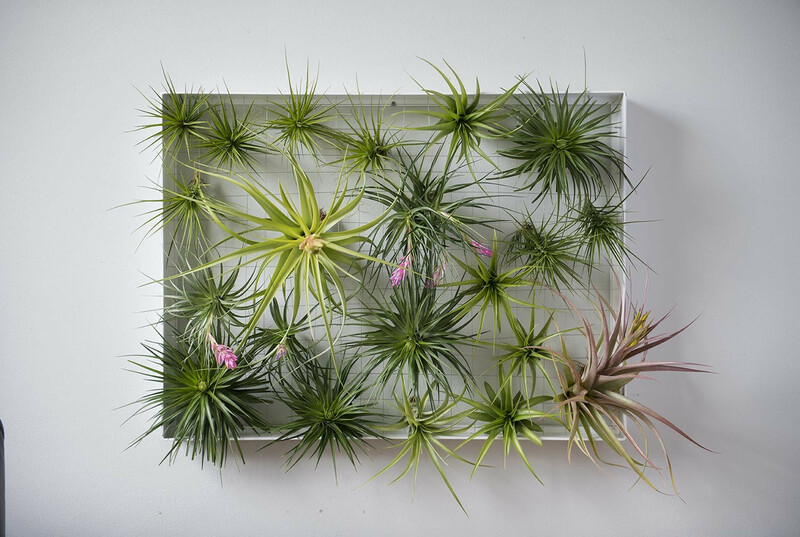 His real name is Josh Rosen and he creates stunning air plant designs, including fantastic vertical squares to display a plethora of tillandsia aka Tillys. 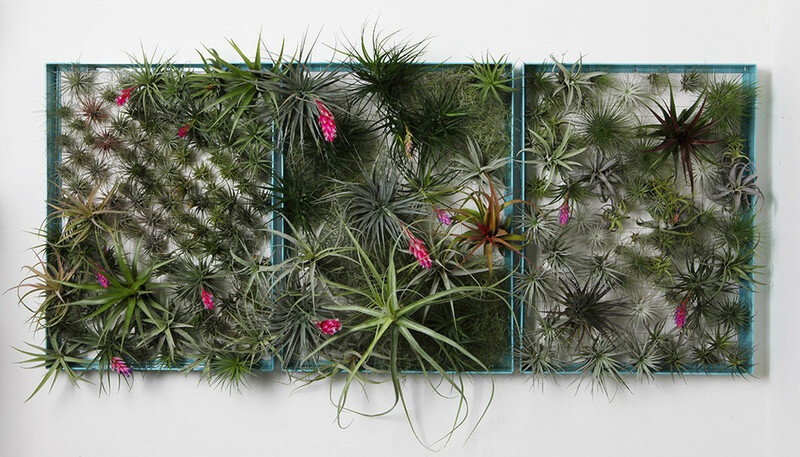 Rosen’s piece the resistance is his large Airplantframe, a stunning piece of living art. 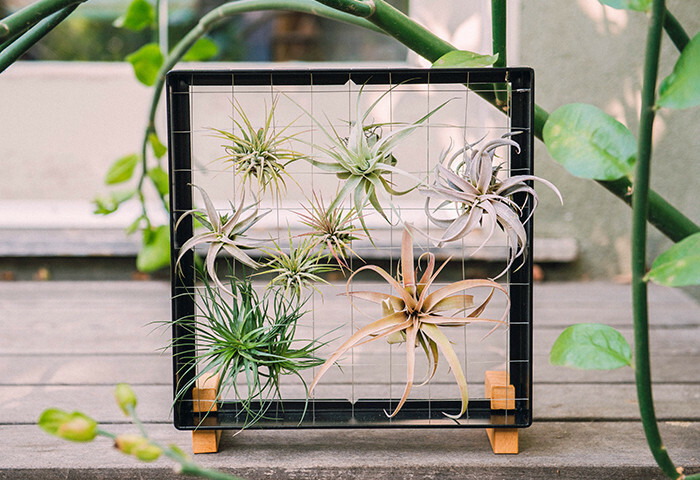 The beautiful frame is made from an eco-friendly, powder-coated aluminum and hand-strung stainless steel cable. 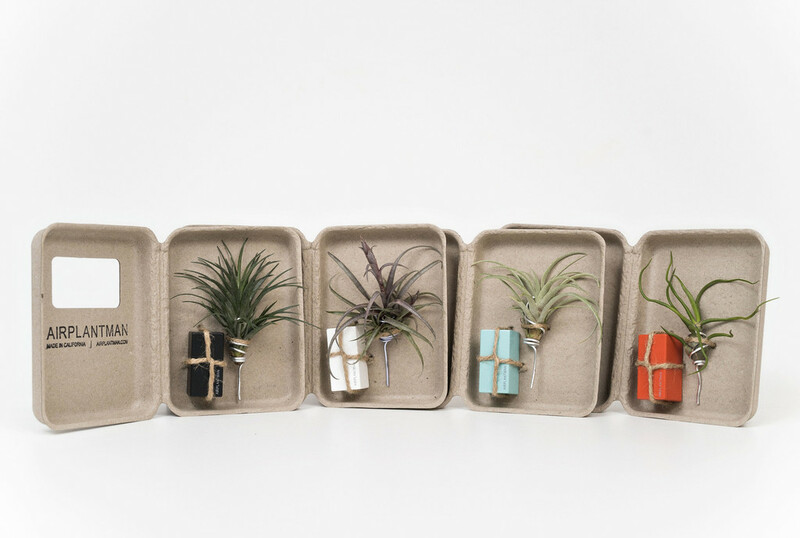 The materials are completely recyclable, and a percentage of the profits goes toward air plant eco system protection. 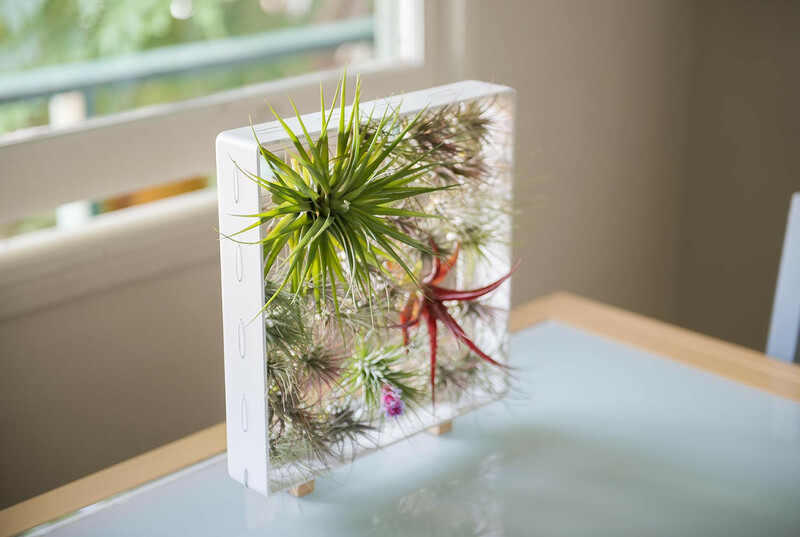 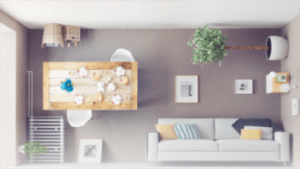 You can get your vertical garden started easily with the plant booster kit, which includes 10-20 species at different sizes, or sign up for club membership where fresh boxes arrive at your doorstep regularly. 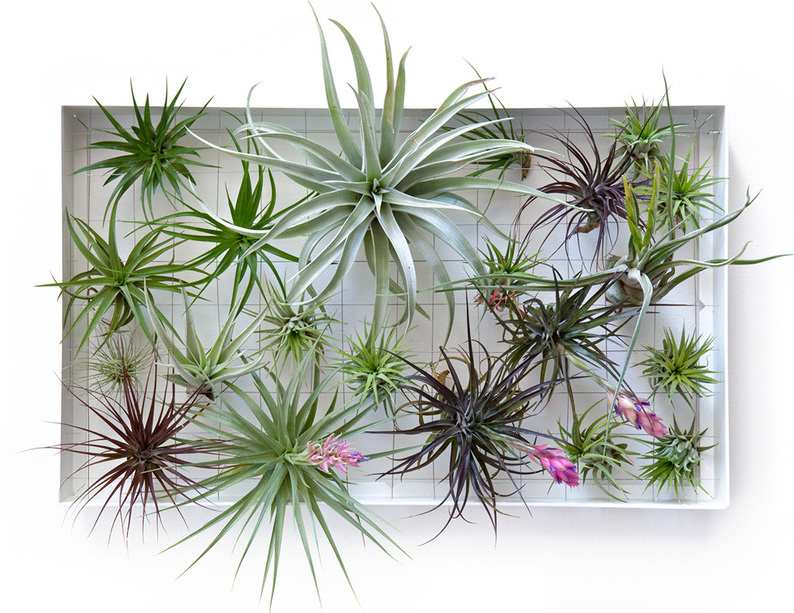 His website shows instructions on the “how to,” from light to watering, fertilization and more. 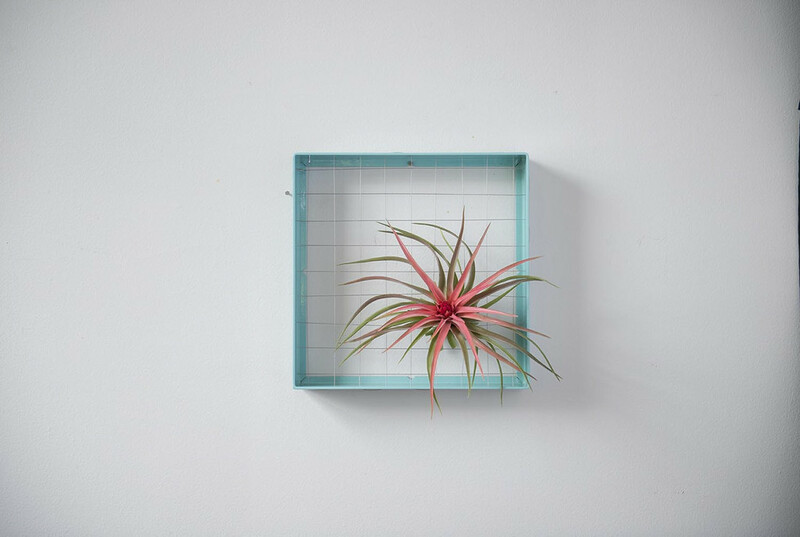 One can also get a gorgeous square frame measuring 11”x11” in hip colors such as matte black or white, and glossy orange or aqua. 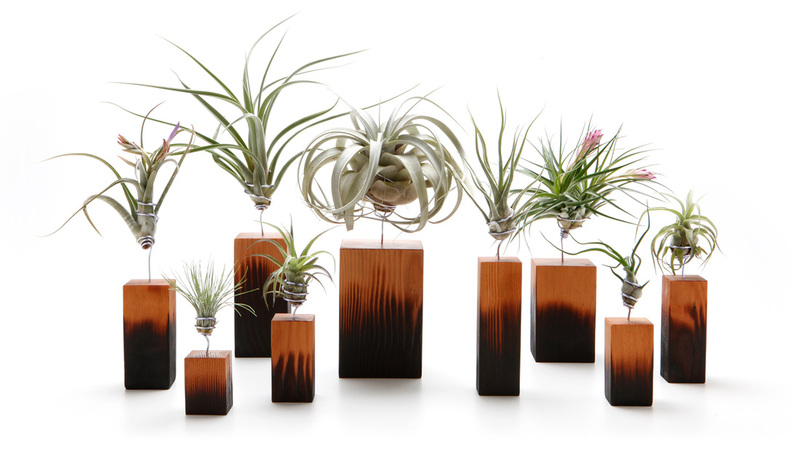 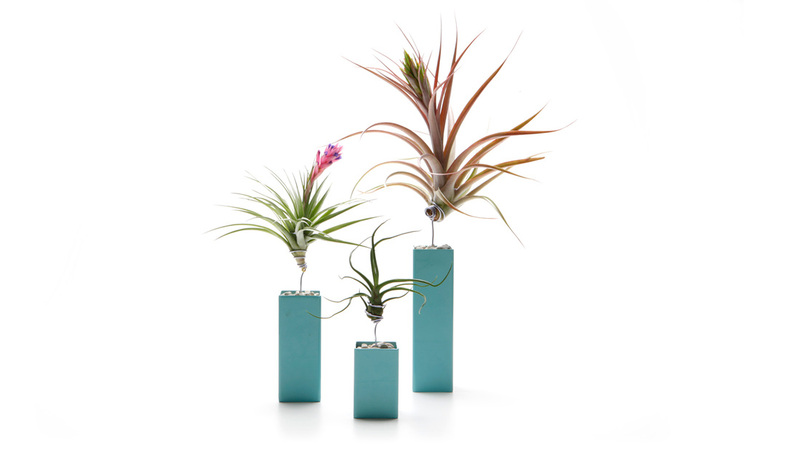 Finally, there are a variety of stylish vessels made in ceramics, steel and wood to display the gorgeous tillandsia.